Stukeley, William. 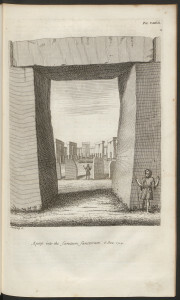 Stonehenge, a temple restor’d to the British druids, 1740. London: Printed for W. Innys and R. Manby, at the West End of St. Paul’s, 1740. Widener Library, Harvard University. A centenary to celebrate! Sir Cecil Chubb (1876 – 1934) and his wife Mary donated Stonehenge to the nation on 26 October 1918. The monument is now cared for by English Heritage and their excellent website illustrates the events, exhibitions and activities there are to mark the centenary. Cecil Chubb was born at Shrewton, a few miles from Stonehenge, and became a barrister, Justice of the Peace, Chairman of Fisherton House, Salisbury (one of the largest private psychiatric hospitals in Europe during the 1920s), a racehorse owner and breeder of shorthorn cattle. He had purchased the monument for £6,600 at auction in 1915, from the Antrobus family, after their last male heir was killed during the First World War.